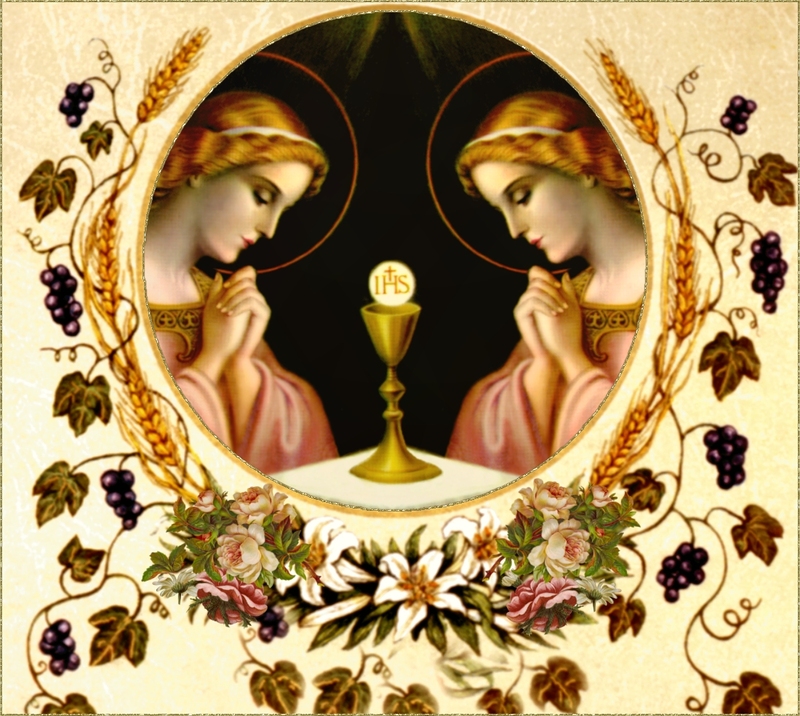 EXCERPTS FROM THE BLESSED SACRAMENT: Fr. Frederick W. Faber, D.D. To church for me, -----the Mass to hear. And treasure for me every grace. Please offer me to God Divine. Present it with the Precious Lamb. Adore for me the great Oblation. Be they far or be they near. For whom Christ's Precious Blood was shed. Christ's Flesh and Blood, my food to be. Then with His blessing, come back home.